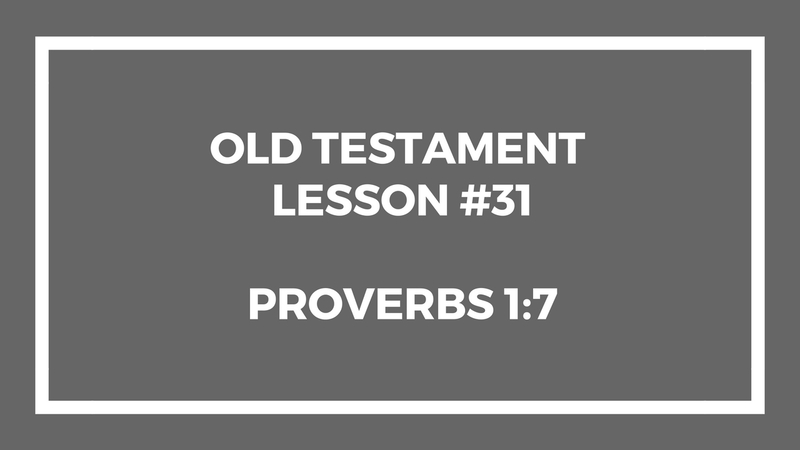 This lesson is about the Book of Proverbs in the Old Testament. Quite frankley, we only look at Proverbs 1:7 in this class. We just didn’t have time to go elsewhere. I hope you find it helpful in teaching your gospel doctrine class in your ward or branch. This entry was posted in Gospel Doctrine Helps and tagged gospel doctrine, gospel doctrine class, gospel doctrine helps, old testament lesson 31, old testament lesson 31 - gospel doctrine, proverbs, proverbs 1:7 on July 30, 2018 by admin.